Save on the go with the vouchercloud app. 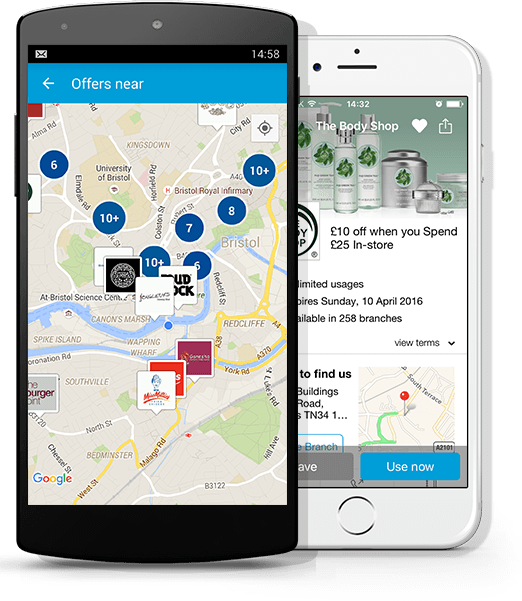 Our award-winning mobile app is available for iPhone and Android devices, and uses your location to show you offers for shops and restaurants near you. Download the app for free and find exclusive offers for thousands of venues across the UK. To use an offer simply show your voucher on the screen of your phone and enjoy a great saving. 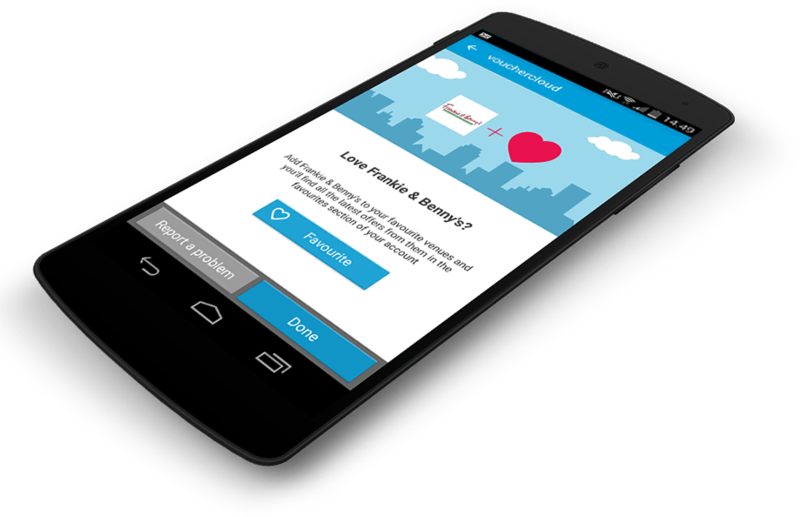 The vouchercloud app is your perfect shopping companion. Use it when you’re out and about to find the best offers close by. Looking for something to eat? With thousands of food and drink offers you’re sure to find just what you’re looking for. Whether you’re in the mood for a three course meal, a quick bite to eat or a family feast, the vouchercloud app will find you the tastiest savings for less. Going shopping? Don’t part with your cash before you’ve checked out the discounts on vouchercloud. From fashion to electronics, from beauty products to home improvements, you’ll be able to find savings for all your shopping needs. We work with thousands of leading national brands as well as independent restaurants and local businesses so you’ll always be able to find offers for the places you love. See our featured offers for the hottest deals around, and filter between in-store and online to find exactly what you're looking for. 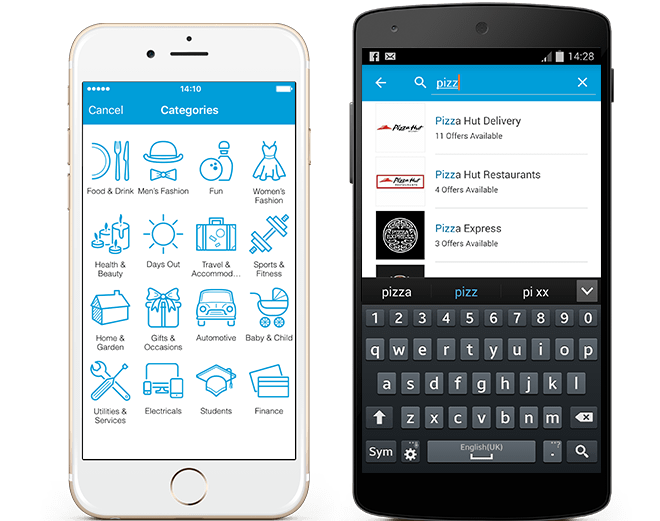 Finding offers on the vouchercloud app is simple. Browse through our categories, try the smart search system, or simply look for the offers closest to you. As well as offers to use in-store we also have a fantastic range of online shopping vouchers to help you save. 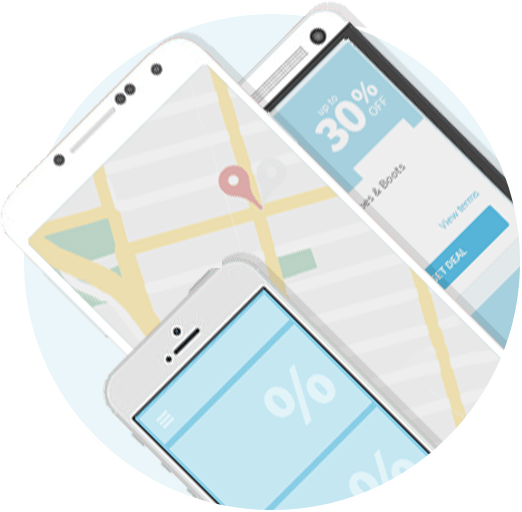 Filter between in-store and online offers to find the perfect saving however you prefer to shop. Stay in the know about offers from your favourite brands. Simply mark them as a favourite and we’ll let you know when a new offer is available or one’s about to run out. Adding favourites means you can tailor vouchercloud to your needs for a personalised money-saving experience that helps you live more and spend less. Love this app! Great for when we're out and about and it tells you where to get a great deal. Mostly on restaurants but always good.